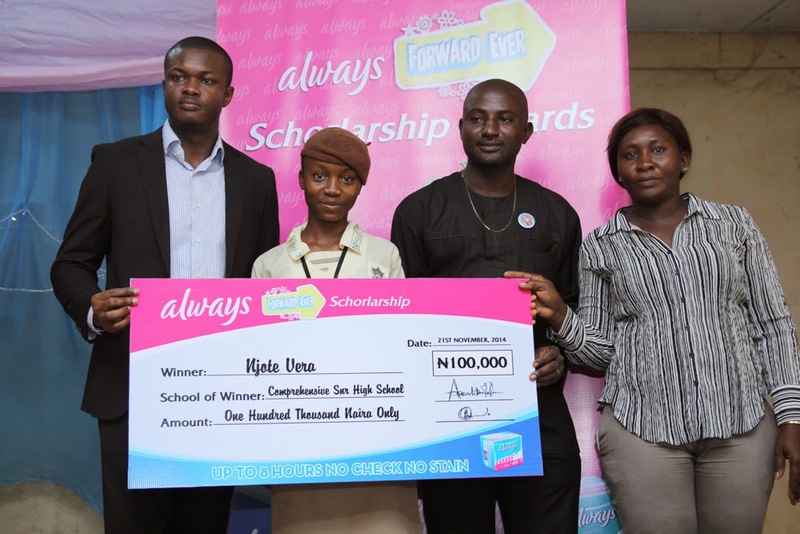 Fifty lucky winners have emerged from the Always Forward Ever contest. 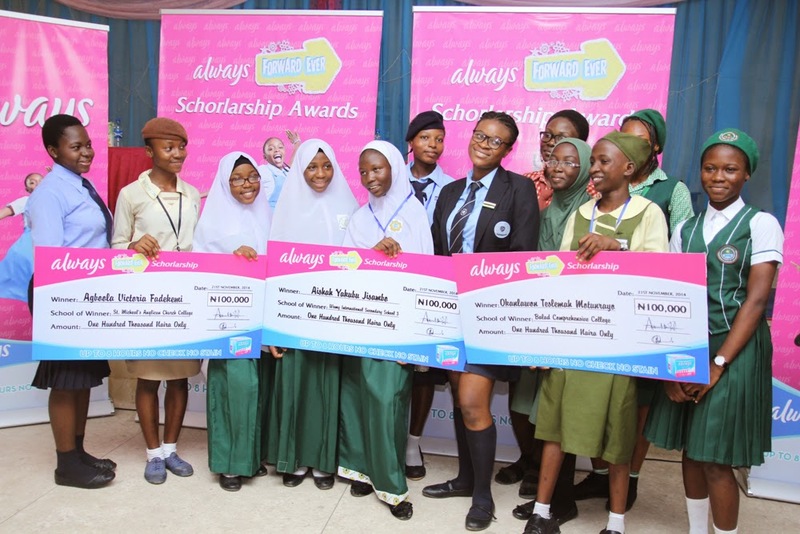 The contest which was thrown open to girls between the ages of 12 and 18 years to share their 10 years plan in a short profiling contest titled “Me in 10 Years” was put together in an attempt to encourage the girls articulate their dreams and forecast their achievements in the next ten years. 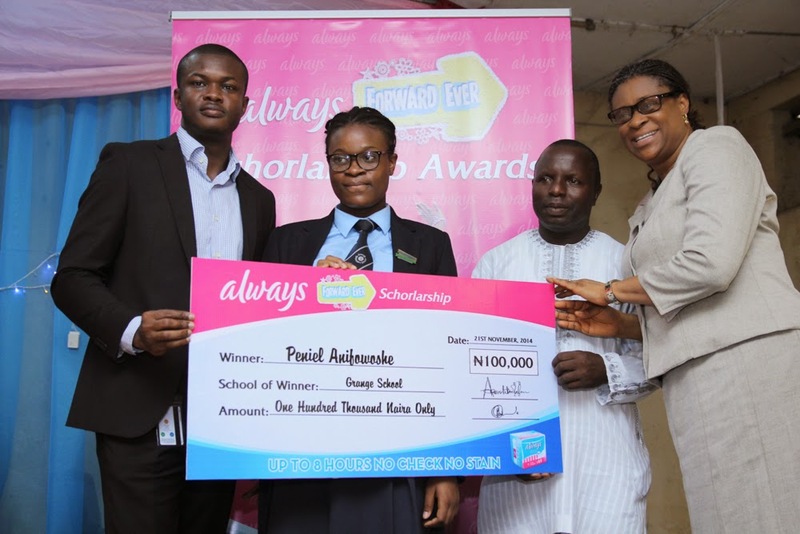 At an event which took place at the International School, University of Lagos the winners of the contest were presented their prizes in the form of educational grants worth N100, 000 each. 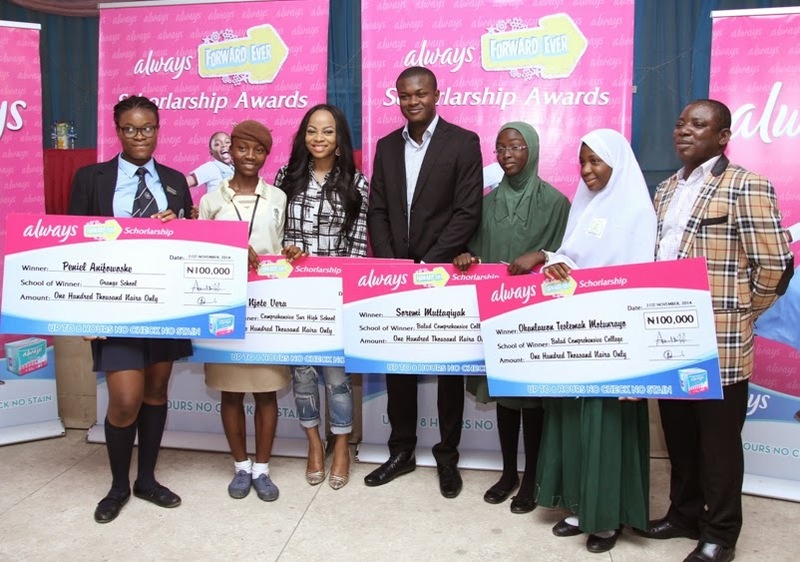 Present at the event was On-Air-Personality and Celebrity Influencer, Toke Makinwa who addressed the student and encouraged them to believe in themselves. 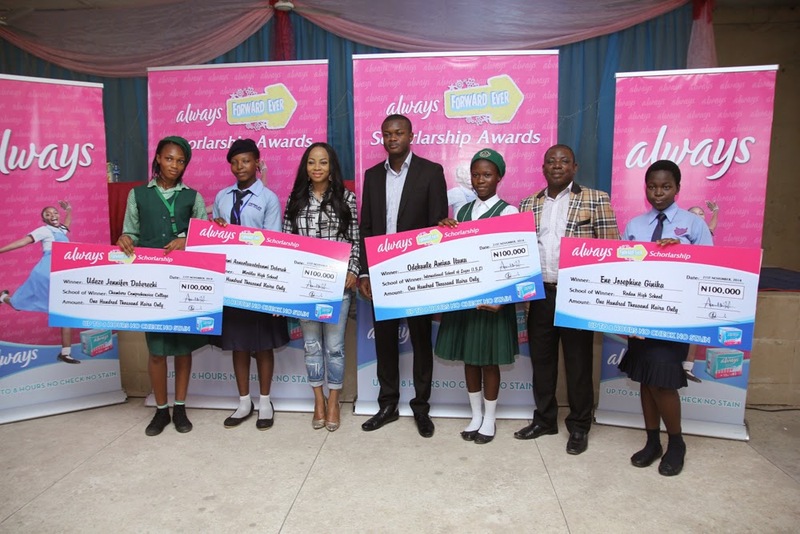 “Getting rewarded for sharing who I will be in 10 years is encouraging and which only makes it more challenging to work towards those dreams and not just wishing for them,” said one of the winners while others showed their joy and appreciation to Always. 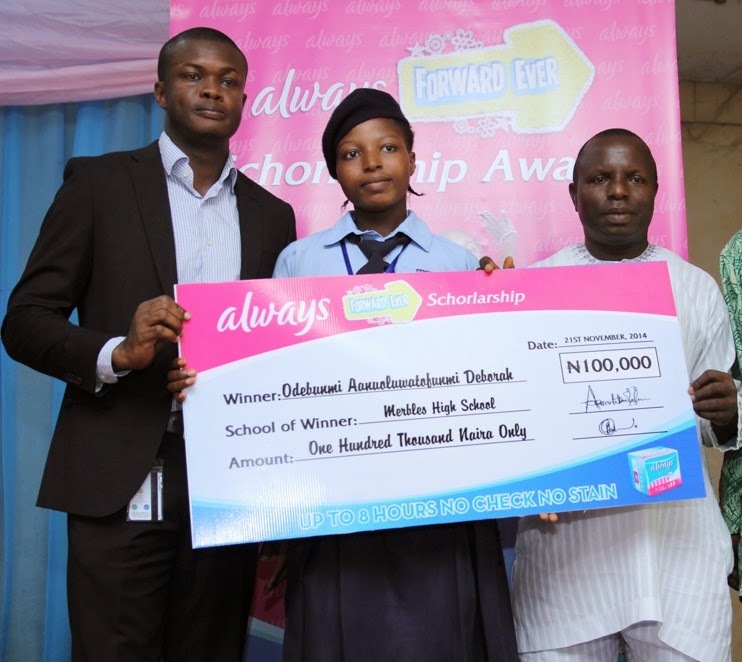 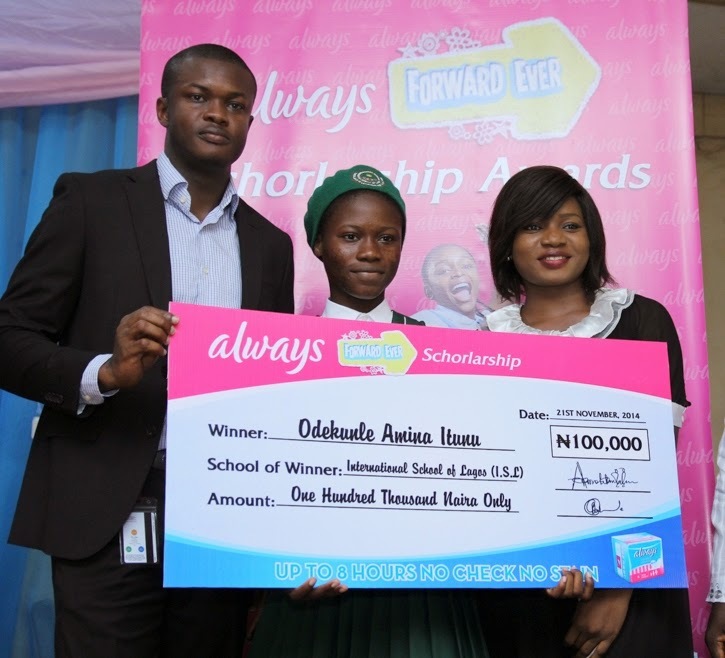 The Always Forward Ever campaign, an initiative of P&G was developed to directly engage the prime prospects for Always in Nigeria and inspire young girls by providing them with an opportunity to think positively and work actively to achieve a bright future for themselves and the society. 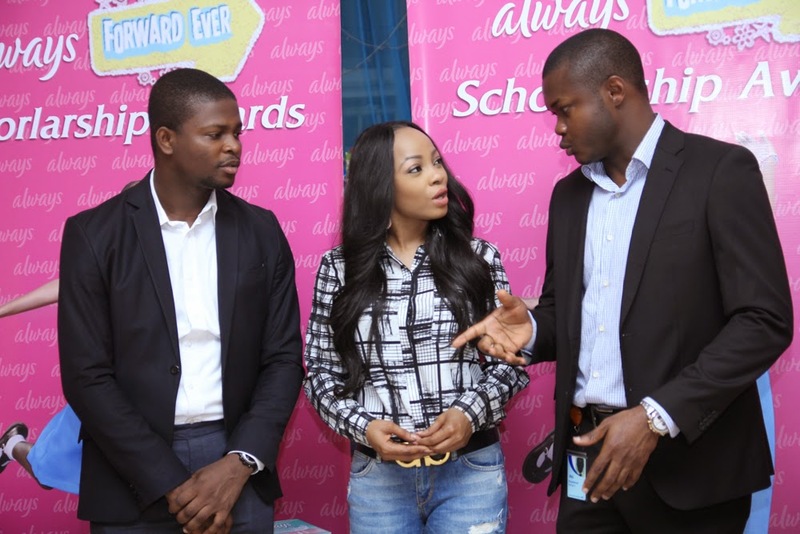 With Always, you're GOOD TO GO with up to 8 hours NO STAIN NO CHECK.